Poly(lactic acid) or polylactide is a biodegradable thermoplastic polyester obtained from lactic acid (or lactide) that can be produced from renewable resources such as corn or sugarcane. Mass produced and commercially available PLA has been successfully introduced for products where biodegradability or sustainability is required or desired. Using natural fibers in polymer composites as an alternative to traditional reinforcing synthetic fibers has proved to have several advantages such as lower cost, renewability, good specific properties, lower density, lower energy requirements for processing, biodegradability, wide availability, and relative non-abrasiveness. Natural fiber composites have been successfully used in the automotive industry, for instance. It’s a new way of looking at electronics: “You don’t expect your cell phone to dissolve someday, right?” said Reza Montazami, an Iowa State University assistant professor of mechanical engineering. “The resistors, capacitors and electronics, you don’t expect everything to dissolve in such a manner that there’s no trace of it.” But Montazami thinks it can happen and is developing the necessary materials. North American PP resin prices fell for the second consecutive month in March, as winter weather affected some deliveries. Prices for propylene monomer feedstock also fell 1.5 cents for the month. Some PP buyers saw that amount — with a small number even seeing a 2-cent drop. 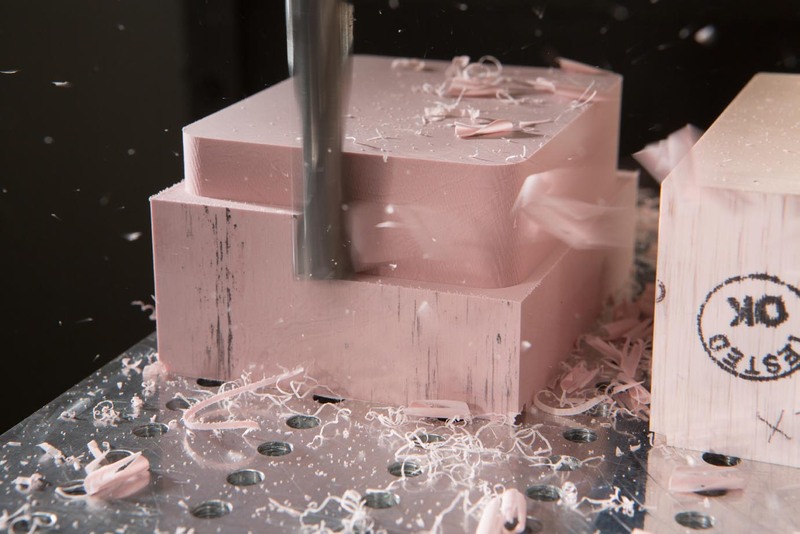 The third module in our learning series explains best practices for CNC milling of HYTAC syntactic foam for thermoforming. How fast should I run? What is the best cutting tool? Should I use coolant? These questions and more are covered in detail. Click for free download. Among the many environmental problems humankind faces in the 21st century is how to improve environmental sustainability and manage a tremendous amount of polymer waste. Uncrosslinked thermoplastics can be easily reprocessed and reused. However, a 3-D internal network prevents flow and shaping of crosslinked plastics upon heating and shearing, and until now there has been no simple way to recycle them. The Catalysis Center for Energy Innovation, a U.S. Department of Energy-Energy Frontier Research Center led by the University of Delaware, has announced a two-year program with ExxonMobil to research renewable chemicals from biomass. The research will focus on converting lignocellulosic (non-food) biomass such as trees and grasses to polymers that are identical to existing petrochemical products. The EPS Industry Alliance recently completed a series of tests on extruded polystyrene to examine the effects of moisture absorption and R-value in different field applications. Two new technical resources look at the behavior of rigid foam insulation exposed to water, specifically related to the material's drying potential and R-value retention. Mexico’s plastics industry is likely to invest $500 million dollars in new equipment and raw materials this year, triggering a 6 percent growth in the sector, according to one of the two candidates seeking election as president of national plastics industry association Anipac. The sector had sales of $23 billion in 2013, Carlos Alberto Saldate Paton, a former president of Anipac’s recyclers section, said at a news conference. Mitch Johnson, Ph.D, is the Senior Technical Director of General Plastics Manufacturing Co. and holds over 15 patents. In this role, he leads new product development and drives continuous improvement of the company’s advanced materials and processes. AZoM talks to Johnson about the many applications and benefits of polyurethane, especially for soft tooling. The deconvolution technique known as multivariate curve resolution — alternating least squares (MCR-ALS) should be added to the analytical software used with commercial size exclusion chromatography (SEC) systems, say Belgian chemists. This follows their discovery that MCR-ALS can effectively resolve the overlapping peaks often produced when polymers are separated by SEC. Although SEC is a common enough technique for separating polymers by size, it can’t always clearly separate different polymers with similar molecular weights, producing overlapping peaks. IBM Research's lead scientist for the advanced organic materials group, James Hedrick, had an encounter that would make him rethink his career. Hedrick took a question from a woman in the audience. "Why are you wasting your time with all this electronics stuff?" asked Dr. Yi Yan Yang, who works at the Institute of Bioengineering and Nanotechnology in Singapore. "You need to work with me." That evening, Yang filled Hedrick in on how she was using high-tech nanomaterials for medical purposes. "She was absolutely right," Hedrick recalls. "I was wasting time doing just semiconductors." Materials scientists are continually working to develop new polymers and plastics for medical use. Additional work is being performed to formulate or combine existing materials in new and novel ways. These innovative materials have the potential to dramatically increase the durability, performance, or functionality of medical devices – but they don’t always work as expected in vivo. The complex chemical interactions of the body can cause unexpected failures as medical components age. Conformal cooling technology offers a more uniform way to cool parts, thus reducing cycle time and improving productivity and quality. In fact, cooling is an extremely critical part of the injection molding process, and over the past few years there have been several new developments in the technology in an effort to improve the way conformal cooling lines are produced to prevent leakage and mold damage. The advent of 3-D printing, aka additive manufacturing, using the direct metal laser sintering process, developed by EOS GmbH, has given conformal cooling technology a new opportunity to improve the molding process with conformal cooling channels in injection molds. A group of researchers developed a new synthesis method of materials for organic thin-film solar cells and succeeded in obtaining high-purity materials in a simple and easy manner. Conventionally, π-conjugated polymers, one of the materials constituting an organic thin-film solar cell, were synthesized mainly by way of a cross-coupling reaction. While this reaction makes it possible to synthesize diverse polymers, it uses compounds of tin, boron, phosphor and the like, and it is necessary to remove byproducts (impurities) derived from these compounds after the reaction. To solve this problem, the research group developed a new method of synthesizing π-conjugated polymers without using tin, boron, phosphorus, etc., by applying an efficient coupling reaction. Louisiana State University Agriculture Center researchers are studying how to make plastic from a byproduct of sugar production, an advance that could give sugar cane farmers a stake in the plastics industry and reduce manufacturers’ environmental impact. Derek Dorman, an LSU AgCenter polymer scientist at the Audubon Sugar Institute, said aconitic acid, found in cane and sweet sorghum juices, is a potential source of biodegradable plastics. For several innovative components in the BMW i3, the electric vehicle from the BMW Group, the chemical company BASF supplies versatile plastics and supported part development with extensive construction know-how. These include the backrests of the front seats, key reinforcement parts in the carbon fiber body, and the rear seat shell. Researchers from UC San Diego Skaggs School of Pharmacy and Pharmaceutical Sciences, in collaboration with material scientists, engineers and neurobiologists, have discovered a new mechanism for using light to activate drug-delivering nanoparticles and other targeted therapeutic substances inside the body. This discovery represents a major innovation, says Adah Almutairi, associate professor and director of the joint UC San Diego-KACST Center of Excellence in Nanomedicine. Up to now, she says, only a handful of strategies using light-triggered release from nanoparticles have been reported.